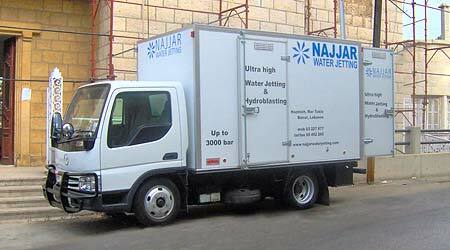 Najjar Water Jetting was born in 2005 as a result of extensive market research and a deep understanding of the modern and powerful technology of water jetting and hydroblasting. Managed by Walid Joseph Najjar the company aims to bring to the market a fresh perspective, ground-breaking technology and to become the leader in water jetting and high pressure hydroblasting, based on customer satisfaction and tangible results. Our passion for our work makes look at it as a restoration and beautification activity rather than just industrial interventions.